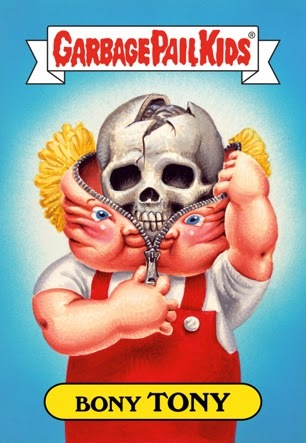 Well, this is news that'll make you feel old quickly; the Garbage Pail Kids turn 30 this year. It really doesn't seem that long ago since I was collecting these, and to be honest, sticking them all over my headboard on my bed. 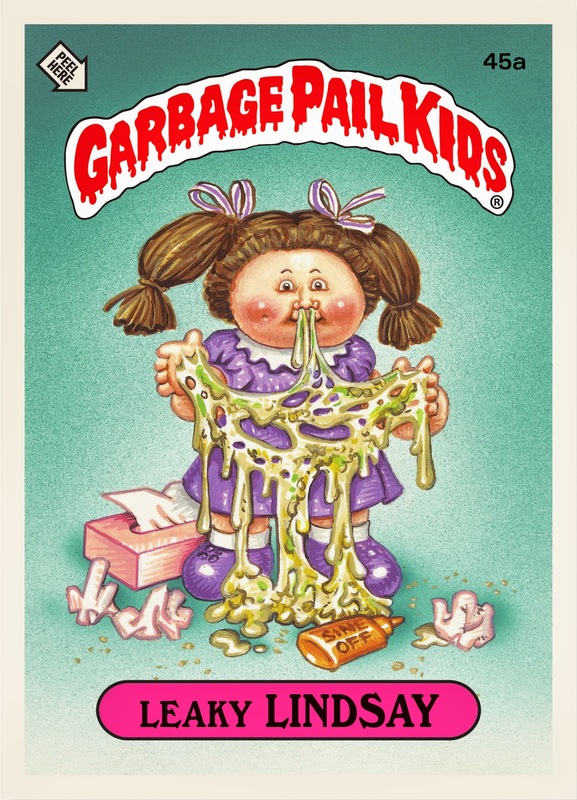 I wasn't particularly good at keeping them pristine anyway (a skill I think I only developed when The Simpsons trading cards came out), but I had great fun trading these with friends in school; they seemed perfectly pitched for kids, despite the somewhat grotesque characters. 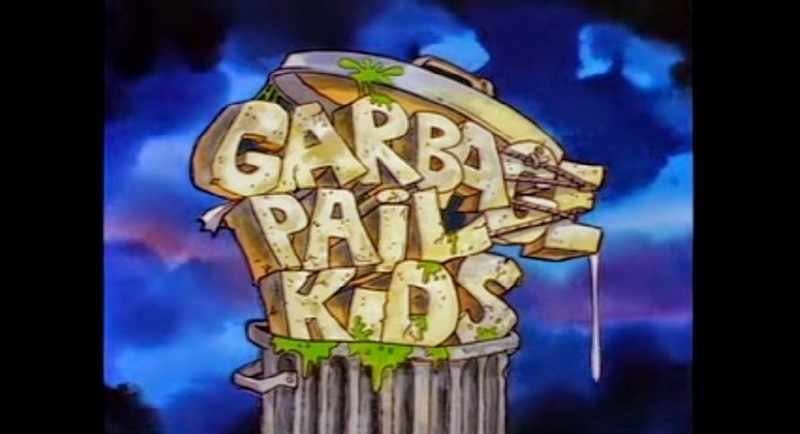 It's something that seems to be missing for young 'un's these days; we loved the gross-out humour and awful puns, and no doubt children now would, too. So while taking in some of the gloriously revolting artwork, let's have a quick look back at the start of the collecting craze. 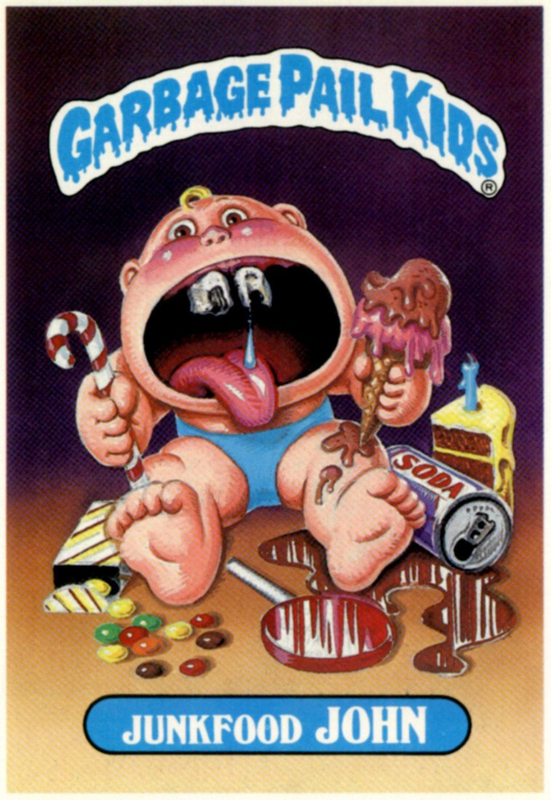 Initially coming across as a reaction to the squeaky-clean Cabbage Patch Kids, the Garbage Pail Kids were conceived by the incredibly talented Art Spiegelman (the pulitzer-prize winning cartoonist, responsible for Maus, among other works) who was acting as consultant for Topps Company, a manufacturer of chewing gum and collectibles. 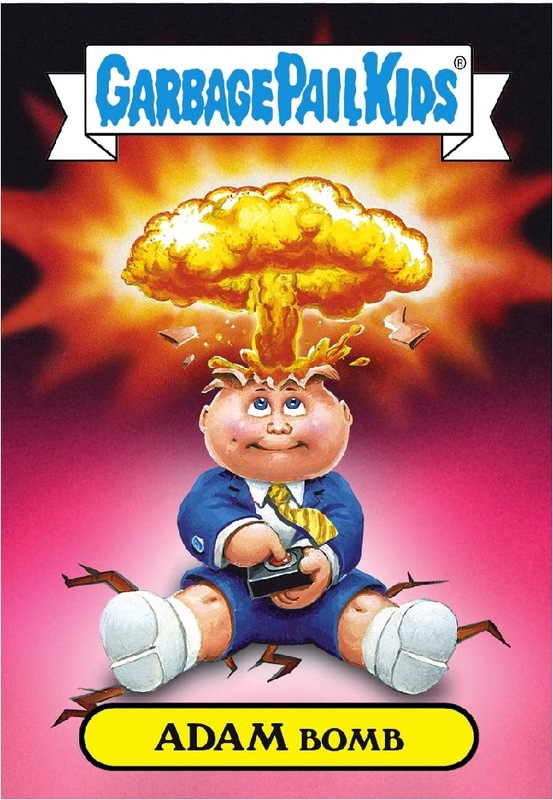 Spiegelman worked as Art Director on the project, and saw it launch to huge success in 1985. 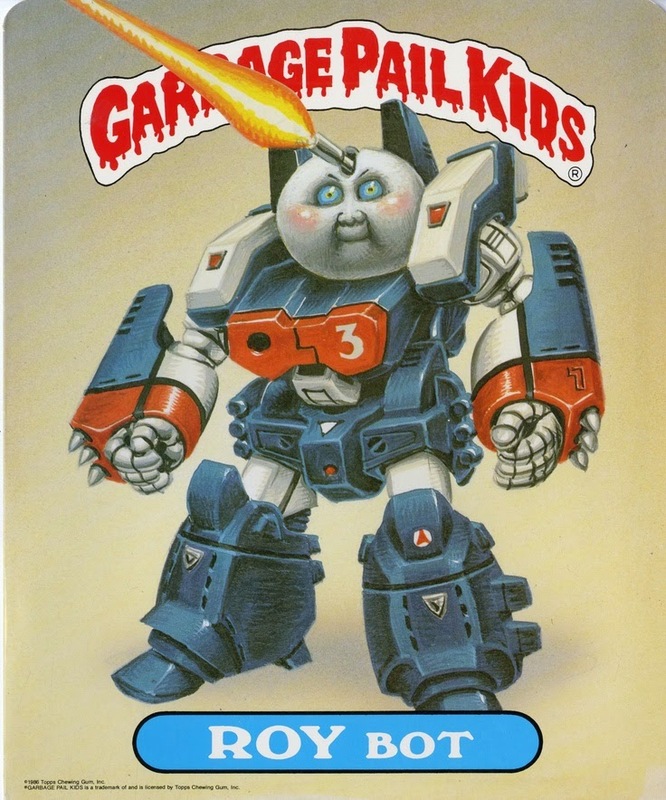 After this, many other artists and writers were brought in to work on the series, which saw the cards become a hit through the latter part of the 80's, resulting in a film and TV tie-in that had varying degrees of success. The cards have seen several re-releases over the years, and have continued to have new series added every now and then. 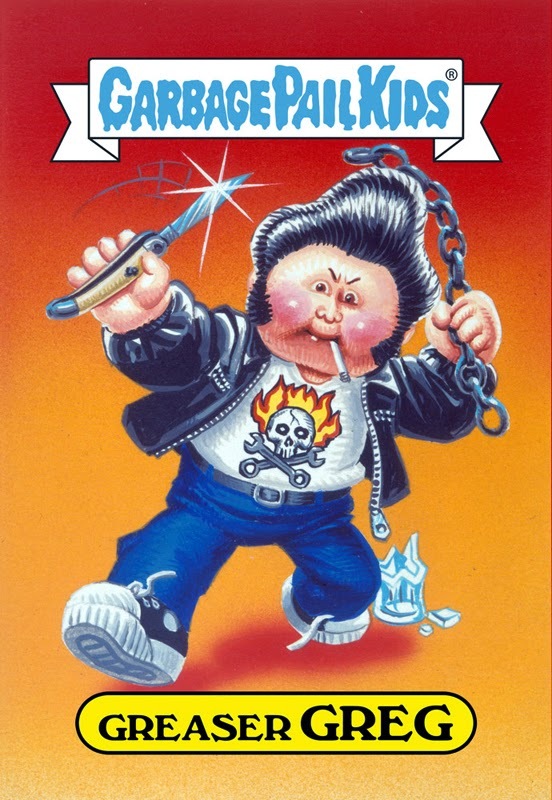 Sadly, it was one of those things I sort of 'grew out' of, by the time I was ten I had moved on to other collectible cards (The Terminator 2: Judgement Day ones were among my favourites) and I rarely ever thought about them again. The film was something we actually saw in school, believe it or not (Despite the controversy that has been recorded, our teachers never had a problem with it), and while I loved it when I was 8, it's a painful experience as an adult. But, more on that later in the week. The cartoon, though, is something I have no memory of at all. Perhaps they just never crossed my path when I would have been channel surfing back then (well, as much as you can channel surf or four or five stations). There seems to be plenty of them on Youtube, so maybe I'll give them a spin at some point. If, like me, you don't fancy having to go collecting all the cards again (getting a bit long in the tooth for schoolyard trading... that just sounds plain wrong!) there's a nifty looking book collection released by Topps Company themselves, so I'll definitely be picking this up at some point this year. Meanwhile, I'll leave you with a few of my favourite cards I had when I was a kid; is there any you would add? feeling both disgusted and happily nostalgic all at the same time. I never collected these - and I skipped the movie back then - though I'd watch it in a heartbeat now - and I understandably missed the cartoons. But I certainly remember them - and the disgust they caused in anyone over the age of 12 at the time! Craig, you were most likely too old when these came out for to be interested in collecting them, but for kids my age, they were awesome. You should definitely get on the film at some point; it stinks but you'll get a kick out of it!